I've seen people do minimal preparation for this hike and succeed. I've seen others prepare for a year and fail. Know your own limits, and realize this trail will be unlike anything you've hiked before. Above: Roman aqueduct near Caesarea, the missing section having been destroyed by the sea. Just as along the Appalachian Trail, Israel is developing a network of "Trail Angels" who help hikers. These devoted and unselfish individuals make the journey a great deal easier by providing places to stay, a place to shower, emergency supplies including water, and transportation in emergencies. The only valid list of Trail Angels in English is maintained at this site: http://shvil.wikia.com/wiki/INT_Angels. This list is maintained by the Trail Angels themselves, and is updated frequently. All other lists on the web are outdated, some of them are very poor, and none is maintained by the Trail Angels. It is recommended that you contact some of these Trail Angels before you begin your trip. And as a cautionary note to the two percent of hikers who abuse the hospitality of others, don't. By your inconsiderate actions you hurt the reputation of all hikers, and diminish the resources available to them. This is among the best single-page summaries of the Israel National Trail we could find. This includes trail history, the best time to go, resupply, water, security issues, emergency phone numbers, maps and books, and other resources. People hiking a short section of the trail for one or two days might not need all of this information, but it might prove helpful in case of unexpected events such as injuries or getting lost. A comprehensive list of needed items, as well as the planning process. Since our target audience for this website is veteran hikers, we will assume that most of you have skills in getting around. Flights to Israel can be found at numerous sources, and a search on Google or Bing will turn up hundreds of options. We don't recommend a specific company because in our experience the travel market changes rapidly, and a site offering great deals today will be charging the regular rate tomorrow. Getting around Israel is remarkably easy, once you adjust to the usual chaos of a new country and different ways of doing things. A remarkable service is now available to those arriving at Ben Gurion Airport: you get off the plane, go through customs, walk through the terminal and go down one level and get on a train. These trains go north and south, and can put you within bus range of the start of the trail at either end. (Go to this page for a list of all the transportation services available at the airport.) You can buy a ticket at an automated kiosk, and don't be afraid to ask an Israeli for help. Many speak English, and although many will be in a hurry, they will help you get a ticket and find your train. Most signs are in Hebrew, Arabic, and English. However, those starting in the south should follow the instructions below for the quickest way to get to Eilat. Jacob Saar provides the advice in this paragraph: The quickest way to get to Eilat: take a train/bus/taxi to Tel Aviv and go to Eilat. To Dan: take a train to Haifa - Lev Hamifratz and a bus (5 minutes walk from the train station) to Kiryat Shemona. There are buses from Tel Aviv to Kiryat Shemona. From Kiryat Shemona a bus (55 and 56) or a taxi will take you to Dan it's a 10-15 minute ride. You should also check on flights from Ben Gurion to Eilat: at various times of the year there are discounted flights which are cheaper than the bus. I was lucky and found a flight for $29 one-way, but this is probably a rarity. Check anyway if you're going south. Changing planes beats going by bus. You will need a phone if you are doing a thru-hike on the Israel National Trail. You will use it to call trail angels, to stay in contact with friends and family, and to call for help in an emergency. When in trouble you contact 100 (police) and let them know your exact location. They will contact a local rescue unit as necessary. These units are operated by volunteers that are working with the police. There are many others that you can find with a Google or Bing search. My experience: I bought an AT&T World Phone on E-bay before I left the States (about $75); Upon arrival at Ben Gurion Airport I bought both a SIM card (around $45 or so, I forget the exact amount) and then bought a bundle of minutes for another $35. This was at a small Steimatzky shop at the airport. So my total cost of phone, SIM card, and minutes was around $150. It was worth every cent. Coverage: Coverage, except for some areas of the Negev Desert, is comprehensive and dependable. Below is a note from the SPNI field school in Eilat. It was written in 2012 and hopefully is still relevant. I have had mixed success in getting information from the SPNI Field Schools. The best bet is to just show up and see if they have space for you at a reasonable price, and hope that you get a friendly person on the front desk. I had mixed success with that also. We operate both a HOSTEL and a CAMP GROUND. Our regular rate for a double room in the Hostel is NIS 295 per night including breakfast, valid until June 30th 2012 and not applicable during Jewish Holidays. Our rooms are fully air-conditioned with private bathroom, wooden bunk beds, mini-refrigerator and electric kettle. Breakfast served daily in our Kosher Dining Room from 8:00 to 9:00 AM. The Camp Ground facilities include toilets, showers with hot and cold running water, barbecue corners, shaded picnic tables, electrical outlets and lighting. The rate is NIS 40 per person per night, valid until August 31st 2012. To make a reservation for the HOSTEL or the CAMP GROUND please e-mail, call or fax us. We require a valid credit card number, validity date, and passport number of card holder, and we send a confirmation email when all details have been finalized. Additional contact information: Tel. International + 972-8-637-2021 - Fax: +972-8-637-1771. Lodging can also be found at Eilat's Shelter Hostel. Prices were about half of what the field school charges for a private room. They are very busy so make your arrangements as far in advance as possible. You can also read Judy and John's description of their Israel National Trail hike in their book Walk the Land. Note: Shelter Hostel is a religious Christianenvironment: no alcohol, no drugs, no profanity, and frequent prayer groups. If you are not comfortable with this, don't stay here. 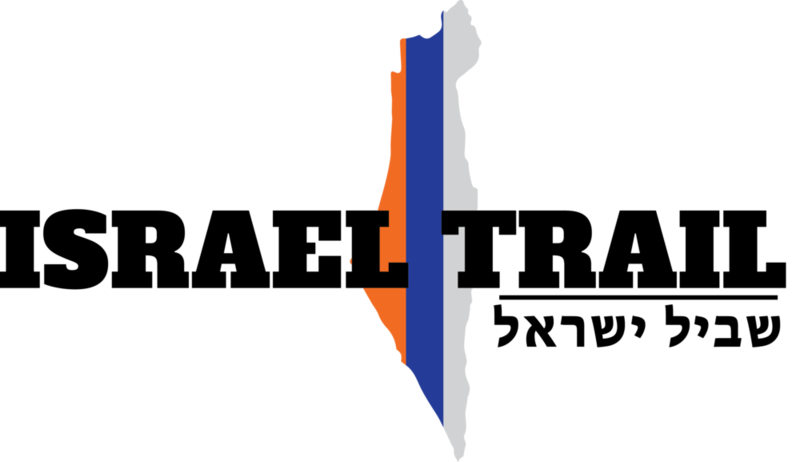 The forum can be found here: https://www.tapatalk.com/groups/israeltrail/. This is the closest equivalent AT hikers will find to forums such as whiteblaze and trail talk, and is the most helpful hiking forum I could find in Israel. Day 9: As of October 2011 camping is not allowed at km 15. You will need to continue to Yavne'el or to Hirbat Sirin at km 12.8 of day 10. In several places in this website we encourage you to purchase this guide. This excellent book will save you multiple times the price. For example, SPNI maps are in Hebrew only, they cost between $260 and $300 (14 maps) and they are heavy, 150 grams each. Saar's book has all the topo maps you will need, in addition to detailed descriptions of the trail. For English speakers it is about the only game in town when it comes to getting good advice. New Resource! Hiking without water caches – A detailed description of how to work out the most difficult logistical part of hiking the INT. An Even Newer Resource! Hiking the Negev without caching water: a how-to-do-it guide by Thorsten Hörbrand. If you try this method we would like to hear about your experience.